The US Senate has voted to overturn an Obama-era law that would have denied an estimated 75,000 people with mental illness from purchasing firearms, arguing it stigmatized people with disabilities. The Republican-led Senate voted 57 to 43 on Wednesday to revoke the rule. They were joined by four Democratic senators and one independent senator. All five are facing re-election in 2018. Grassley argued that, under the regulation, those people suffering from eating and sleep disorders, with a third party to managing their benefits, could be unfairly reported for a background check. The House voted against the rule last Thursday. The regulation was introduced by the Obama administration in response to the 2012 massacre of 26 children and teachers at Sandy Hook Elementary School in Connecticut by a man with a history of mental illness who had obtained an assault rifle legally. The Social Security Administration introduced the rule in 2015, but it was only finalized last December. Under the regulation, people whose finances were administered by a trustee, and were judged unfit because of a disability stemming from a mental problem would have their information sent to the NICS and prohibited from purchasing firearms. Disability advocates were concerned about the regulation, arguing it discriminated against too many people with mental disabilities and could set a precedent to reduce other rights. Senate Democrats saw the repeal vote by Republicans as hypocritical and pandering to their base rather than it being a real concern for those suffering from mental illness. "[Republicans] constantly say we should be enforcing existing law, and then they are, at the same time, rewriting the law so that fewer people will be put on the criminal background check system,” said Senator Chris Murphy (D-Connecticut) who became an outspoken critic of gun violence after the massacre in this state. Since Donald Trump’s election, lawmakers in more than a dozen states have introduced bills to allow residents to carry guns in the open, roll back licensing requirements for concealed weapons, and limit the number of facilities where guns are prohibited. Measures introduced in several states would allow those with licenses to carry firearms in schools, airports and churches. The expansion of gun rights comes as Trump has repeatedly claimed that crime is on the rise and cities are plagued by a wave of "American carnage," despite federal and local law enforcement statistics contradicting those claims. Gun rights advocates and lawmakers have cited the rising crime rates, and Trump’s remarks, to bolster support for their measures. The number of violent crimes committed in the United States in 2015 was lower than the number of similar crimes committed in 1981, even though the nation’s population has grown by almost 100 million in the intervening years, according to FBI statistics released in September. The rate of violent crime dropped by nearly half between 1996 and 2015. 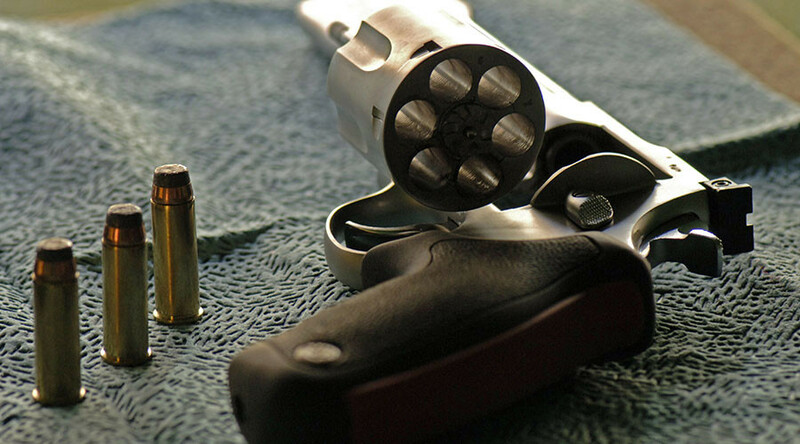 Lucas is sponsoring several measures that would expand gun rights in Indiana. One would end the requirement that anyone carrying a weapon obtain a license. Another would prevent state agencies, including universities, from banning firearms from their facilities. Similar bills are advancing in other states too. Measures to permit carrying a firearm without a license, have been introduced in six states: Kansas, Kentucky, Pennsylvania, Minnesota, Montana and New Hampshire. Proposals to allow some people to carry guns in schools and universities have been introduced in 13 states: Alaska, Arizona, Arkansas, Florida, Kansas, Nebraska, Oklahoma, South Carolina, Tennessee, Texas, Virginia, West Virginia and Wyoming. The push to advance gun rights comes as the number of guns sold in America reached new highs. The FBI said in January its National Instant Criminal Background Check System processed more than 27 million requests in 2016, 4 million more than the previous record.